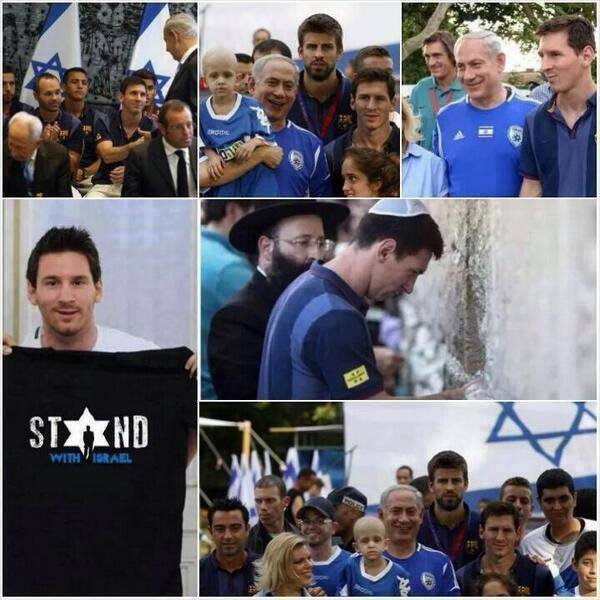 And green supporters were enraged of their disgusting performance in recently concluded ICC Champions Trophy. It was so horrible for the whole squad that when they were departing from their hotel in London, their supporters chanted on them sisterfuckers. 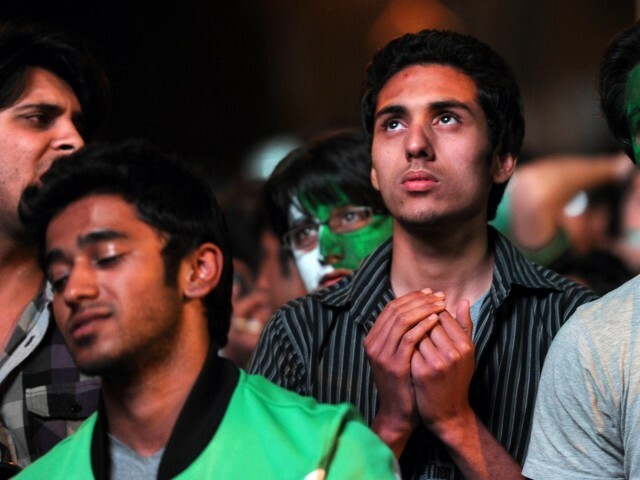 Pakistan was without any doubt the worst team of the tournament with biggest fan following in the games. Way back to Pakistan, newly elected PCB ‘temporary’ chairman become Najam Sethi, a famous political journalist who has no specialty in sports. Things were expected to be in a profounding dilemma. Chief selector Iqbal Qasim, who was the most hated rubefacient on all the supporters, selected the ODI and T20 squads one last time for their next tour to Caribbean Islands and left his post for good. So on pub-lick demand, their out-of-form supernatural hero Shahid Afridi made his 2nd comeback in a year along with his favorite on-screen companion Ahmad Shahzad. Dropped were the obvious 3 senior basket-tears Shoaib Malik, Imran Farhat and Kamran Akmal. Young bloods like all-rounder Hammad Azam, middle-order batsman Haris Sohail and fast bowler Asad Ali were included. Before the start of series, we had a proud achievement of not losing to West Indies in ODI series at their home since 1991. Pakistan suffered 0-5 back in 1987. 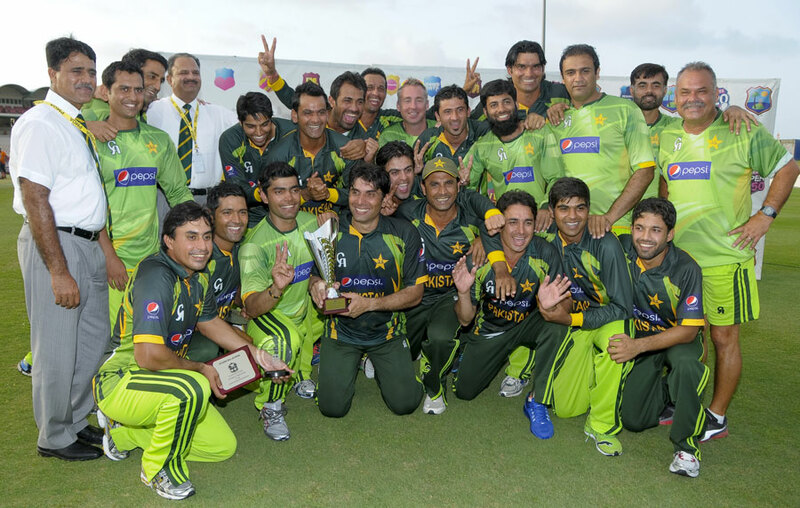 This series went exciting and led Pakistan to a much needed series-victory by 3-1. Captain Misbah-ul-Haq’s equanimity led Pakistan batting stance in stronghold. 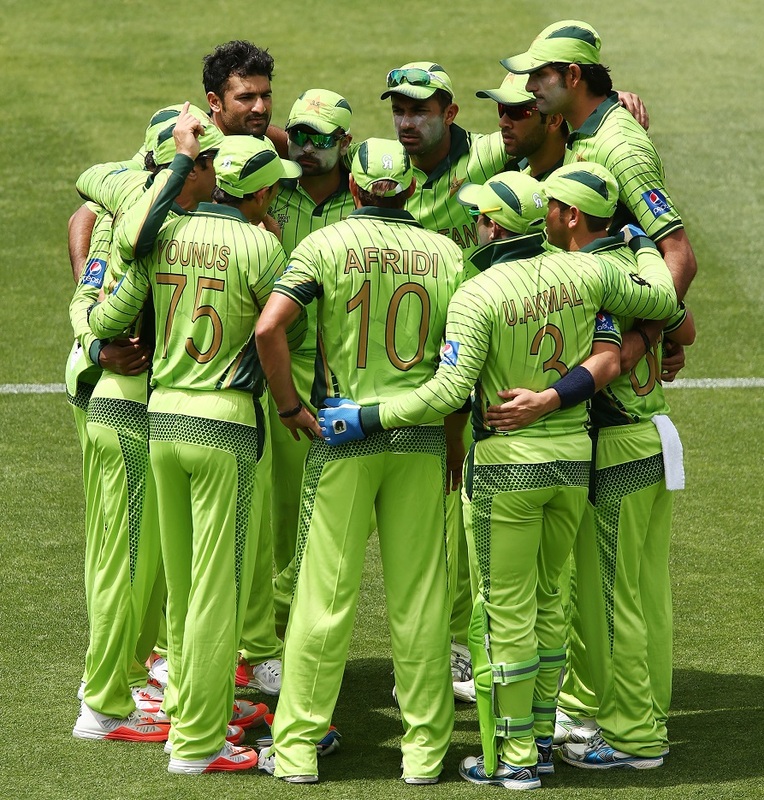 The green army won 3 matches in series, and all 3 matches witnessed 3 different comeback forms of 3 different players. In first game at Guyana, Shahid Afridi made the comeback with the best all-round figures in ODI history by making 76 runs and grabbing 7 wickets. In 4th game at Gros Islet, out of form Mohammad Hafeez made a demanding 50 and led Pakistan to a very important victory and the series deciding final game at very same ground saw Ahmad Shahzad scoring an important 50 after non-impressive batting in the whole series. 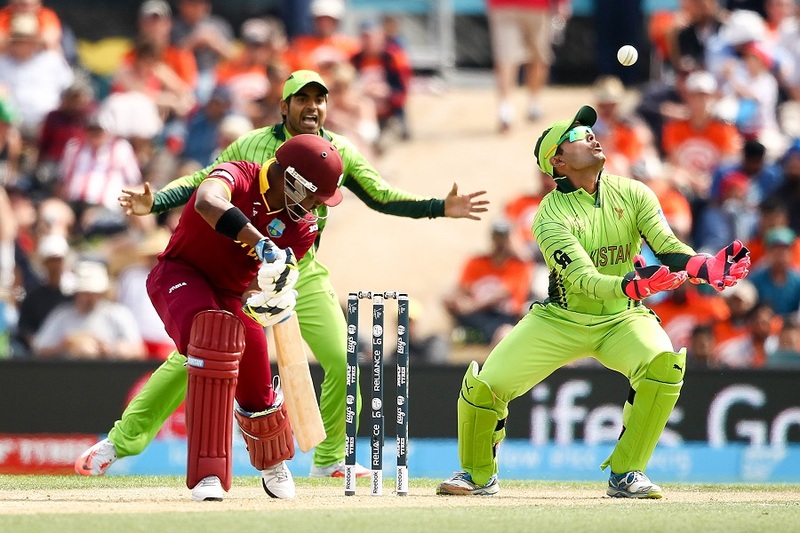 Pakistan’s fielding department was far impressive than the past assignments. One thing which Pakistan succeeded in doing fairly well was Target-Chasing. They smartly chased the targets in last 2 very important games. Batting has always been Pakistan’s biggest issue and it was again. Slow starts, hiccups in partnership building, bizarre misunderstanding in running between wickets, wicked game-plan, funny collapses was exposed all again. A smart move what Misbah did was introducing new names like testing Asad Ali and Haris Sohail. It is the need of time to prepare a team for the next World Cup and you have to remove the faces with no performances on their back. Asad Shafiq was tested again and failed again. Umar Akmal was tested as keeper-batsman and succeeded the keeping tradition of Akmals with the impression of his aggressive batting which is a major plus point. Misbah is now the leading runs-scorer in ODIs this calendar year and his amazing consistency has eased the pressure as a vigilant batsman to stay on wicket and build a partnership. All what Pakistan need are decent totals on card to put pressure on opponents and test their batsmen’s skills. A. PCB Elections shall be done precisely with the elected person holding experience in administration. B. Ensure security to restore International cricket in Pakistan as soon as possible. 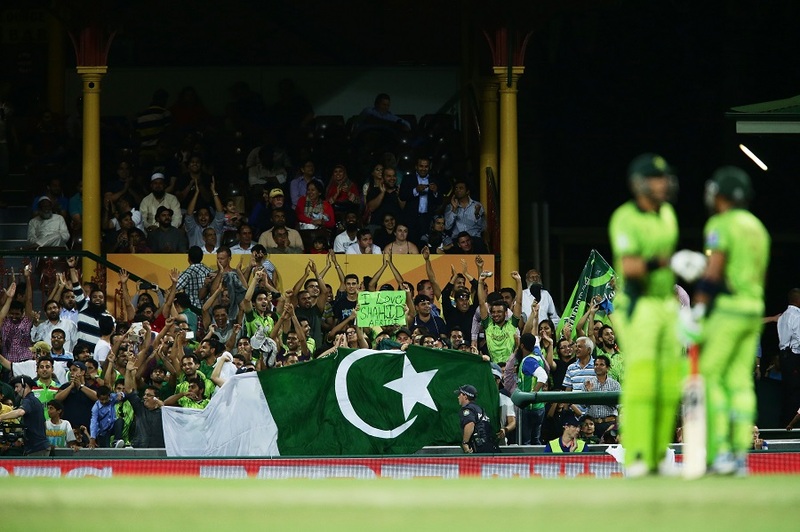 C. How to bring International cricket back in Pakistan? Who will accept our invitation? The best answer is Afghanistan. The team who recently signed 2-year deal with PCB for their cricket development will surely not reject the invitation. The guests can even play at Karachi and Peshawar. 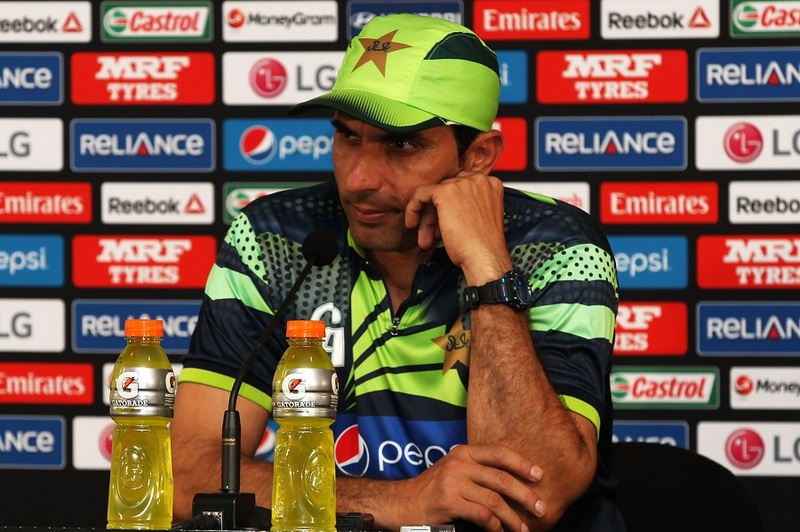 Coach and Captain should remain Whatmore and Misbah till 2015 World Cup. Umar Akmal as keeper/batsman is a good move but temporary situation until they get a genuine wicket-keeping all-rounder. In batting, Nasir Jamshed-Mohammad Hafeez is a better pair with Ahmad Shahzad as third opener in squad. With Misbah and Umar Akmal in the middle, Pakistan must concentrate on both lefty boys Umar Amin and Haris Sohail. Lefty batsman in middle order is like blessing to teams like Yuvraj/Raina in India, Shakibul Hasan in Bangladesh, Eoin Morgan in England, and Sangakkara/Thirmanne in Sri Lanka. With all-rounders, having comeback king like Shahid Afridi, u need a medium all-rounder and time to concentrate on Hammad Azam who can very easily replace disastrous Wahab Riaz. With Saeed Ajmal, now you do need to motivate Raza Hasan from now, so he can adjust in the format until Ajmal retires after World Cup and confidently takes his place. With Umar Gul gashing serious knee injury, time to settle Ehsan Adil or Anwar Ali now. Asad Ali didn’t impress due to lack of pace and peculiar length but Asad and Anwar both are quick and wicket-taking bowlers enough to assist Junaid and lanky Irfan. If things go this particular way, then in every sense there is chance to compete with best teams in the world and look forward for world title in a country where we achieved that glory.